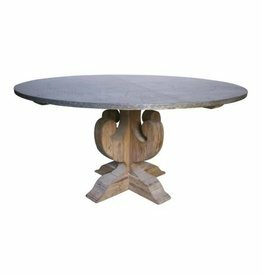 Combination of golden mango with aged white finish on carved mindi wood. 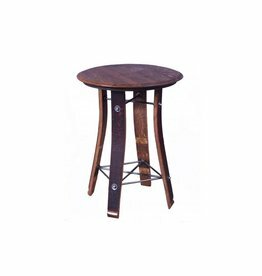 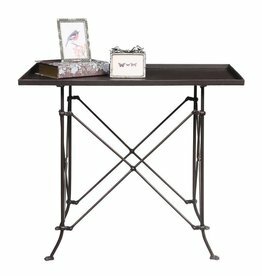 This beautiful table features stave legs, a stamped wine barrel top and heavy wrought iron support and braces. 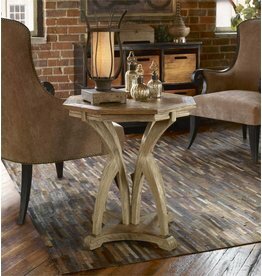 A perfect, mid height feature table. 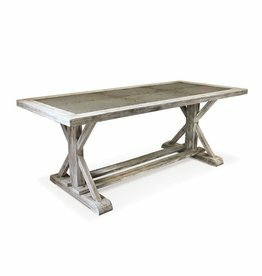 28"h x 23"w x 23"d.
Old pine and hammered zinc grace this beautiful dining table. 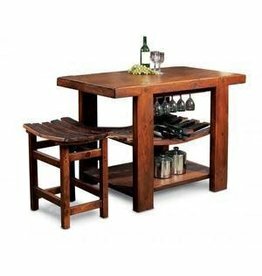 Will accomodate up to 6 chairs. 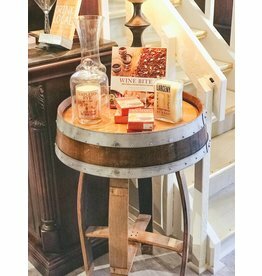 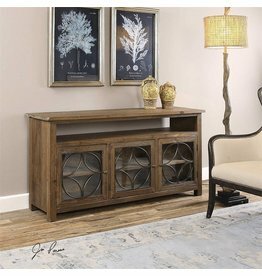 Dimensions: 60"w x 30"h x 30"d.
Same look and construction as our popular barrel side table except this one is bistro height. 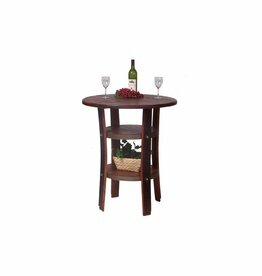 Works well with 2 of our 24" stools for intimate toasting and dining. 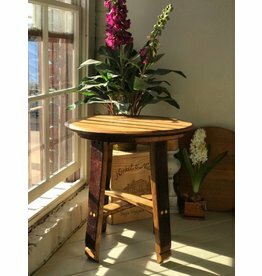 35"h x 23"w x 23"d. Custom built for you to order. 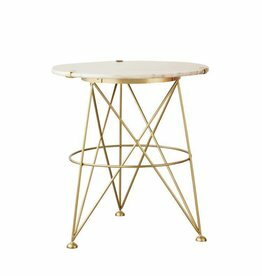 22" Round x 24"H Metal Table w/ Sand Colored Marble Top. 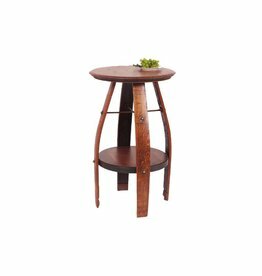 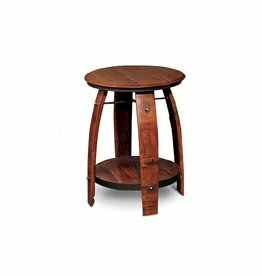 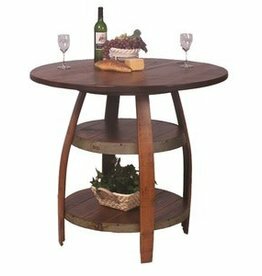 Features stave legs, a stamped wine barrel top and heavy wrought iron support ring and braces. 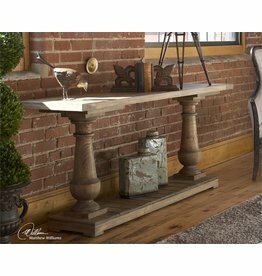 A perfect, mid height feature table.